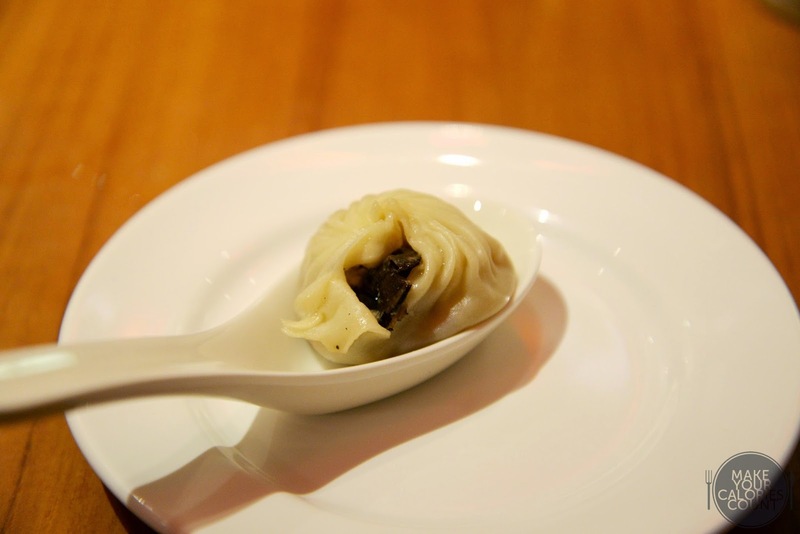 [SG] Din Tai Fung | Comfort food to welcome the Year of the Goat! 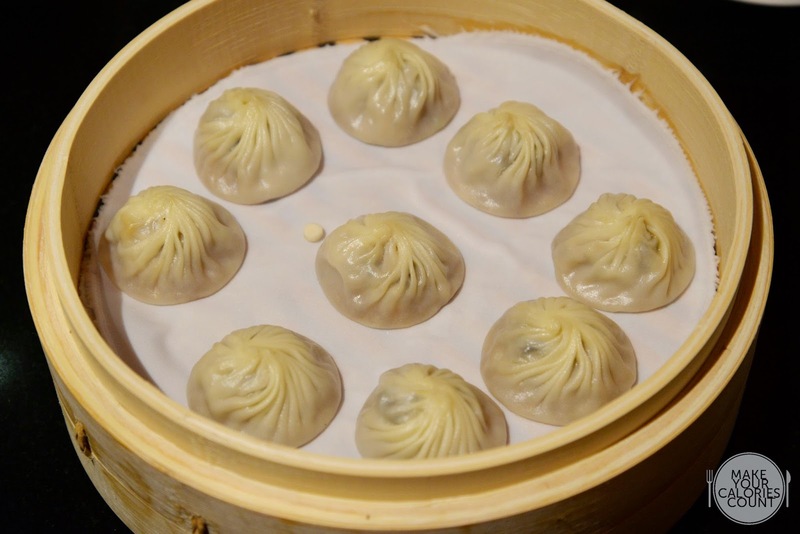 Din Tai Fung is probably one of our favourite Chinese casual dining restaurants in Singapore because of its consistency in food and attentive customer service at almost every outlet. 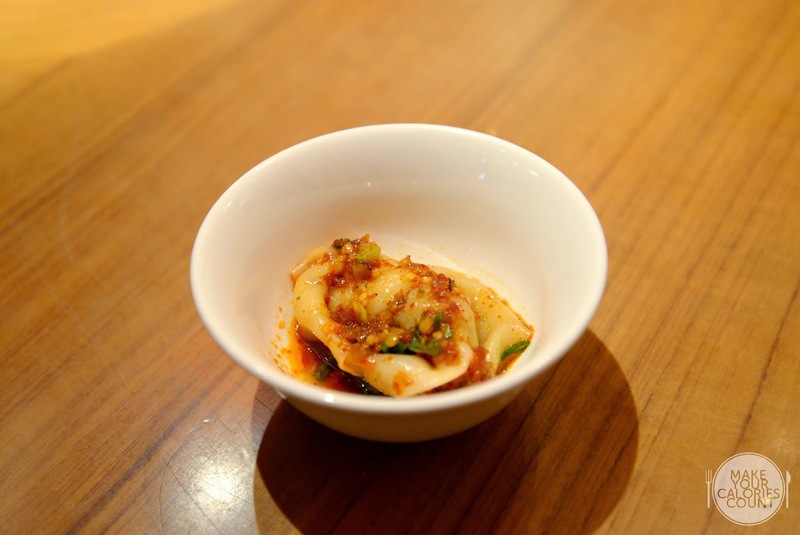 We visit them whenever we want some comforting xiao long bao where it never fails to satisfy our cravings. 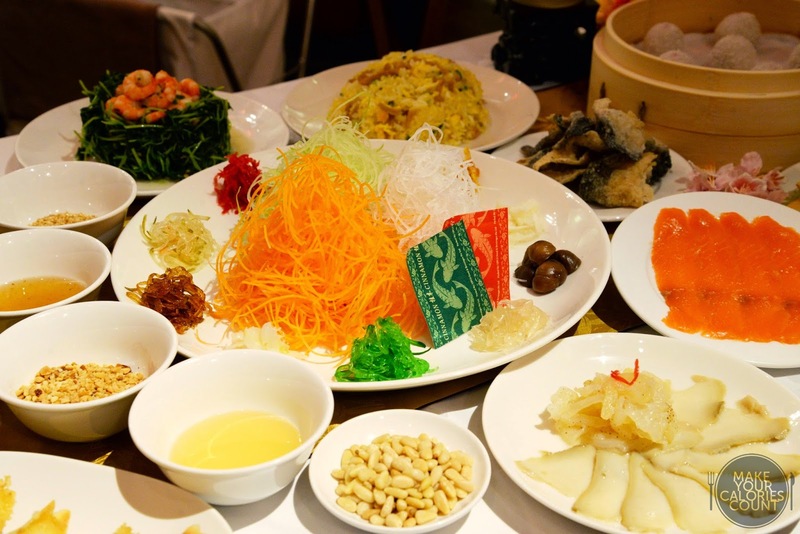 In this New Year of the Goat, Din Tai Fung has introduced an array of offerings to usher in gold and treasures. 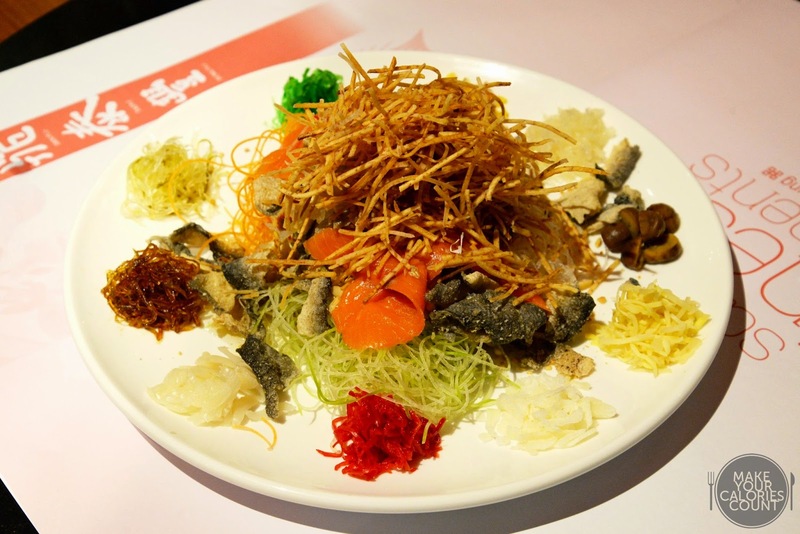 Din Tai Fung's classic Prosperity Salmon Yu Sheng has various textures of ingredients including Norwegian smoked salmon, sweet Tian Jin roasted chestnuts, fresh jellyfish, crispy yam, pomelo pulp, white radish and drizzled with its homemade sweet and tangy plum sauce. 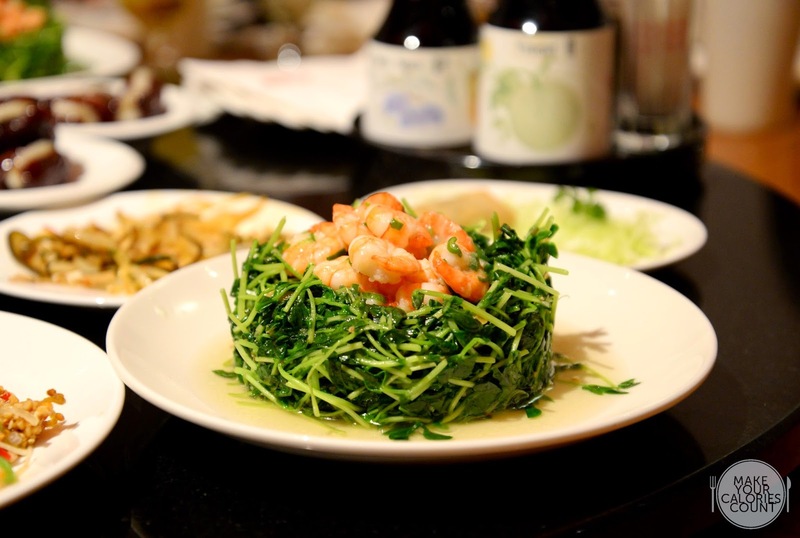 Customers can also top up ingredients such as Australian abalone (S$13.90 per serving), fried salmon skin (S$4.80), sliced smoked salmon (S$9.80), crispy yam strips (S$3.80) and pine nuts (S$2.80) for extra costs. What I enjoyed about this yusheng was the orangey hue Norwegian smoked salmon and fried salmon skin which distinguished itself from others. 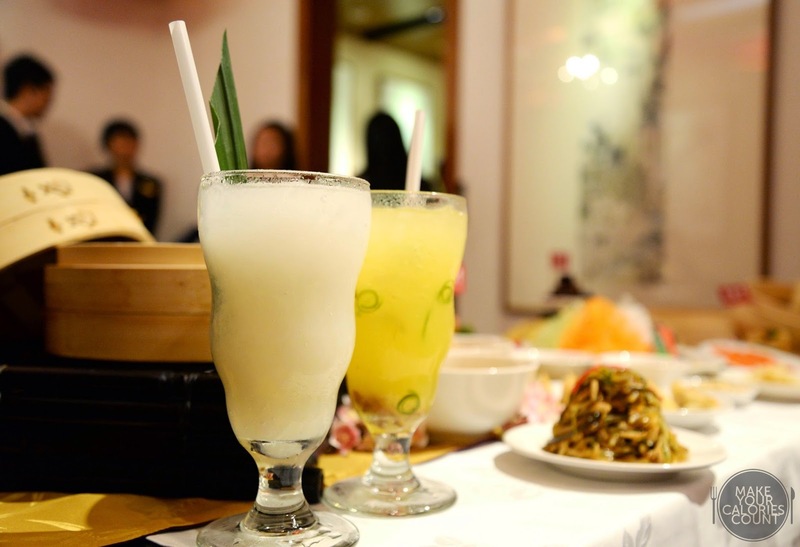 Let's just get as many lo heis as possible to boost your luck and prosperity in the Year of the Goat! HUAT ah! *Available from now to 5 March 2015 (for dine-in and takeaway) at all outlets. 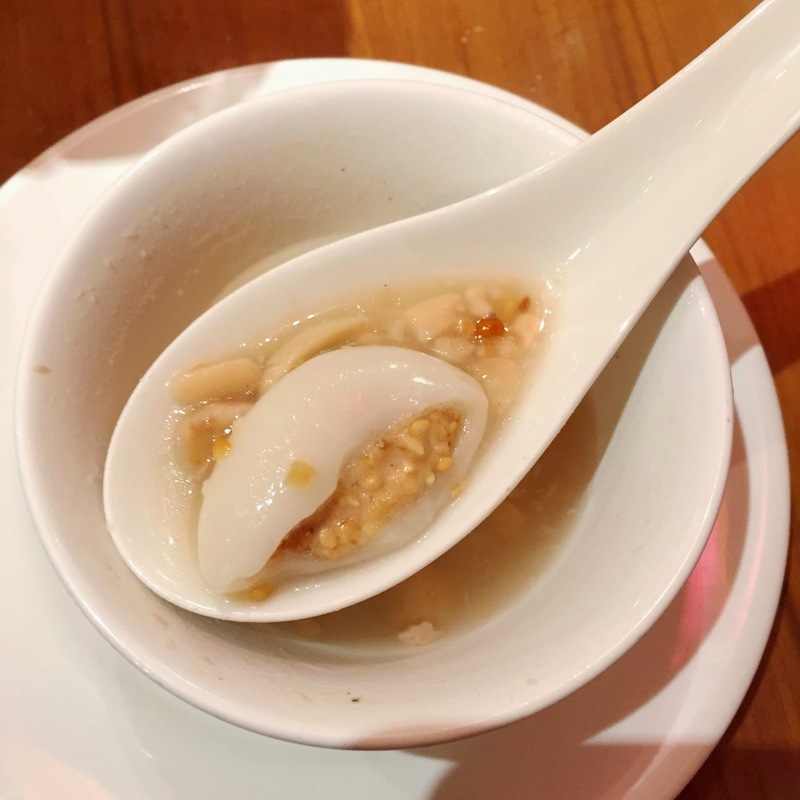 A symbol of family reunion, this tang yuan is a new off-the-menu creation exclusively introduced for dine-in customers, a warm bowl of goodness containing six glutinous rice flour dumplings within the peanut soup base. 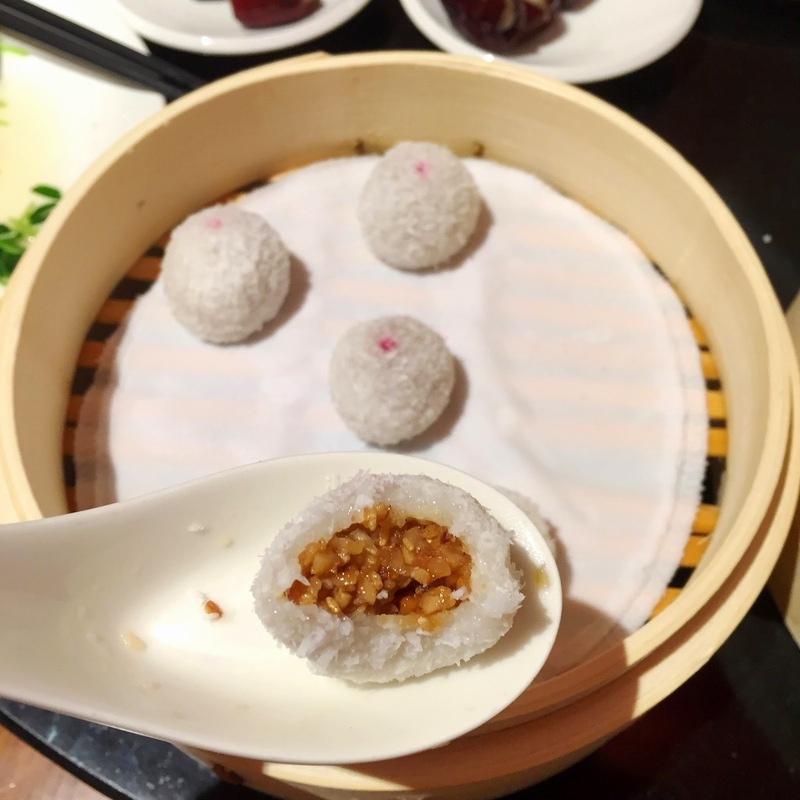 Three white rice balls that were filled with ground peanut and white sesame seeds, while the other three were pink ones oozing out with ground black sesame. I loved its nutty fragrance, generous portion and the right level of sweetness. Diners can enjoy a complimentary serving with a minimum spend of S$90 for all customers and S$80 for Citibank cardholders, available from now till 28 February 2015 at all outlets. 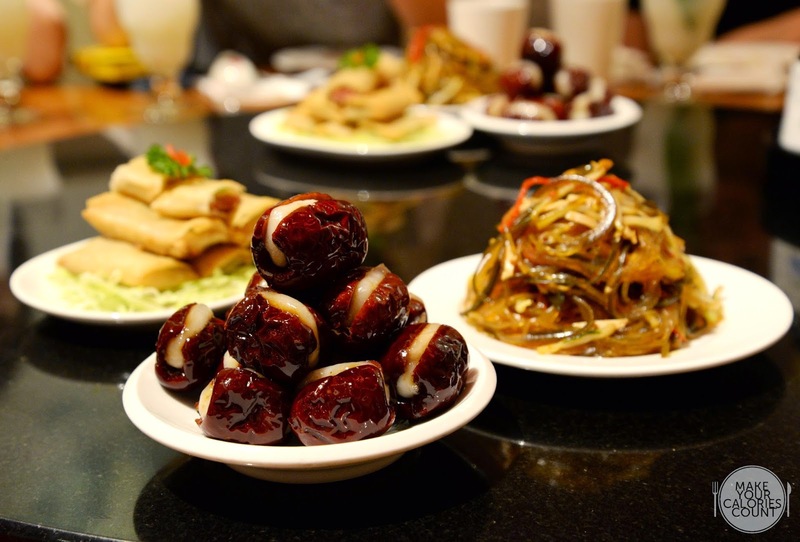 Most of the frequent diners of DTF should know that they seldom change their mainstay menu apart from seasonal specials, but here are their new indulging treats to welcome the new year. Both beverages were refreshing but I especially liked the barley drink as it wasn't the standard one we usually get. Instead, the coral seaweed jelly had an added layer of crunch and sweetness to it. The iced juice next to it was a bit sweet and sour which carried a citrusy aftertaste. *Exclusively available at Paragon and BreadTalk IHQ outlets, from now to 31 March 2015. 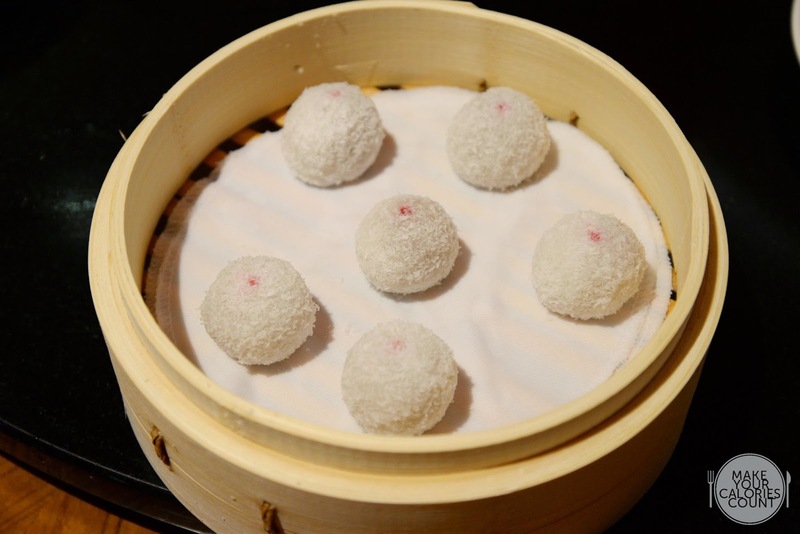 An award-winning steamed dumplings laden with fine truffles and fresh pork wrapped in 18 exquisite folds. 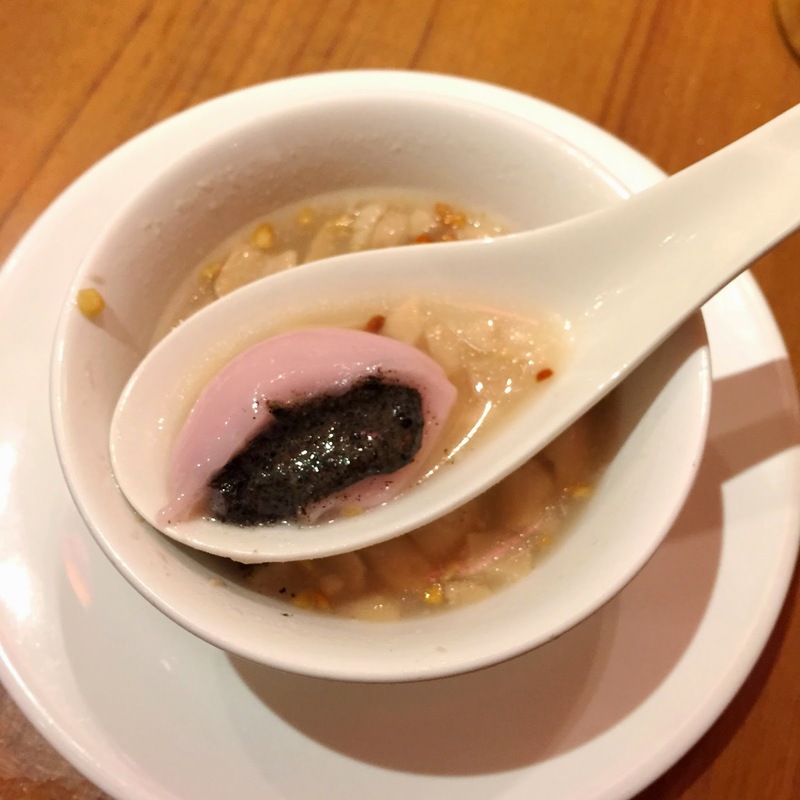 I liked the rich broth and luscious ingredients, however I was expecting more robust flavours of truffles. *Available at all Din Tai Fung restaurants now. 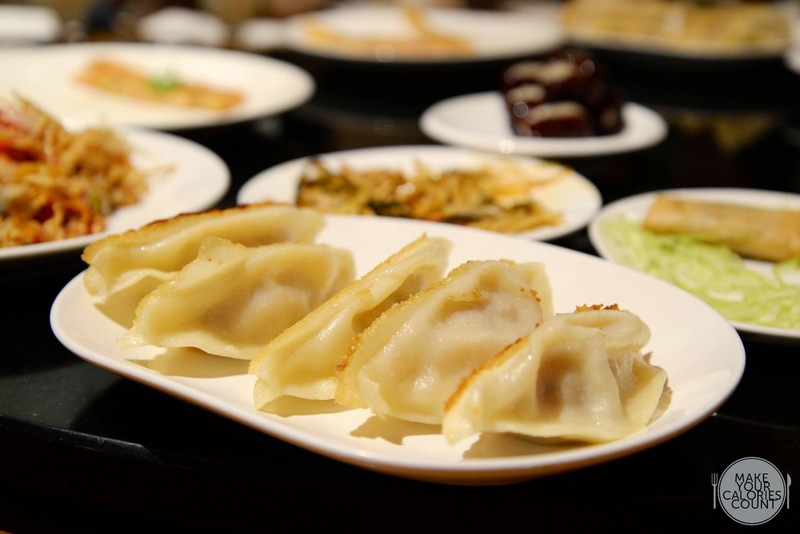 These pan-fried gyozas featured tender and juicy fillings wrapped in a golden crispy skin, perfect to consume with its black vinegar dipping sauce. *Exclusively available at Paragon, Resort World Sentosa and Marina Bay Sands outlets. Quite an appetising wanton considering its robust vinegarish and spicy sauce, do take note that it might come too powerful in terms of the level of sourness and spiciness. And here are some of the delicacies that I haven't tried before! It was my first time trying their red dates appetiser, this was a good rendition though wasn't the best I've tried as the glutinous rice was a tad firm and on the sweet side. Shredded of smoked duck and spring onions were wrapped in a crispy spring roll skin, simple yet delicious! This simple dish was artfully plated as a nest, definitely a healthier choice when you have too much heavy and oily food on the table to savour! 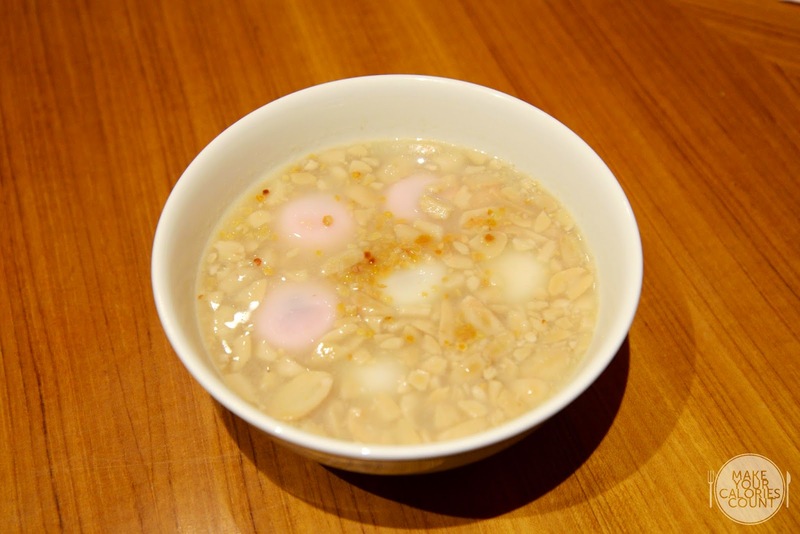 This glutinous rice ball '糯米滋' is one of the most standard pastries in Hong Kong. The outer layer is made of rice flour dough then dusted with dried coconut and cradle a blend of crumbled peanuts. It was fragrant, soft and chewy on the outside, crunchy on the inside, a well executed one. The Taiwan Songshan Pineapple Cakes 凤梨酥 (S$7.50 - Box of 3pcs | S$23.80 - Box of 10pcs) that air-flown from Taiwan and Limited Edition Din Tai Fung's Red Packets are also available at all outlets. P.P.S. Special thanks to Rachel for the invite and Din Tai Fung for having us!